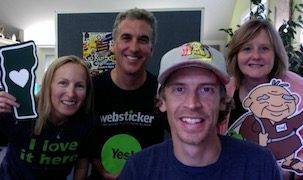 Whatever your custom parking permit needs, Websticker has you covered! Don’t lose your spot, just check out the various options we have available and we can get you set up in no time. 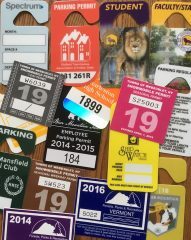 Whether you need these for short term, long term or single events, we can match your needs with an appropriate custom parking permit sticker, decal, or mirror hang tag. What are custom parking permit decals? Hanging Car Tags – An excellent choice for their durability and flexibility. Hanging permits are excellent for temporary uses, reuses by multiple users, and keeping vehicles clear of any long-term markings on bumpers or windows. These have full color printing on both sides and (if desired) consecutive numbering on one side. These mirror hung permits are available on various thicknesses of plastic material as well as recycled and reflective options. You can review our size and shape options here. Exterior Parking Sticker – This is a great longer term parking solution with permit stickers that can last 2-5 years on a car bumper or window. Vibrant full color digital printing is available as well as longer-term screen printing. Consecutive numbering is also available for our Exterior Parking Stickers. 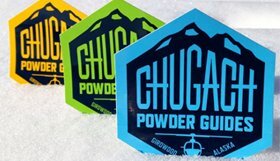 You can choose from stock shape and sizes or create your own custom shape parking stickers! 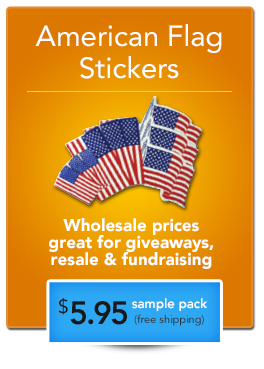 Interior Window Parking Stickers or Static Clings – For the longest possible durability and a completely tamper proof option, Websticker also prints inside window, reverse printed permits. Like our other two options, the interior parking permit decals come in many stock sizes as well as complete customization for your needs. They are screen printed for long lasting durability and can be custom numbered as well. As always, with all of our custom printed parking permits, stickers and decals, we offer free consultation and design. How much easier can it be!? !